BitTorrent may be mostly known for file sharing, but for years the company has been leveraging its peer-to-peer technology for a number of different projects -- from serverless messaging to a cloudless Dropbox rival and a broadcasting platform. Today’s announcement concerns the latter. 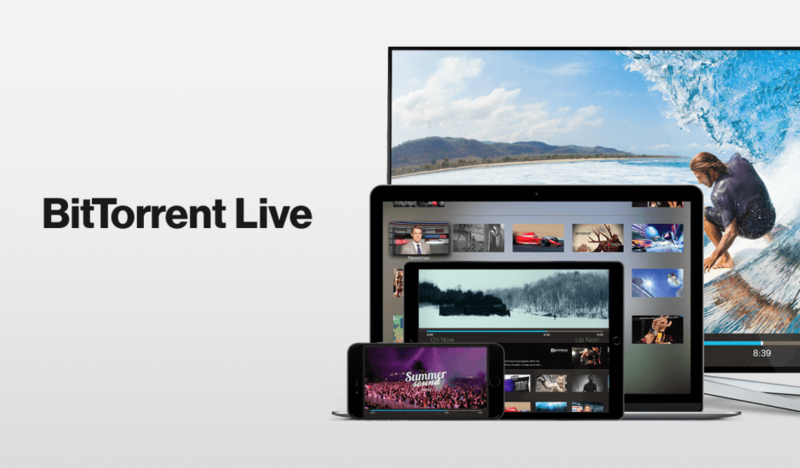 Specifically, a dedicated BitTorrent Live app that’s set to launch on Apple TV this week, before coming to iOS and Android sometime in June. The service will focus on professionally created content with a free tier available at launch -- among them is Leo Laporte’s TWiT network, boxing and MMA channel Fightbox, Heroes TV, Newsmax and a few others. While the initial selection doesn’t have any big names, BitTorrent says additional channels will follow later, including subscription based, ad supported, and Pay Per View premium tiers. Most streaming services today use HTTP Live Streaming (HLS), but BitTorrent argues it’s notorious for its lag issues and it only gets worse as more people watch simultaneously. BitTorrent Live leverages its namesake peer-to-peer protocol so that video stream becomes more and more stable as more people tune in, instead of the other way around, turning every viewer into a broadcaster. The company claims its platform allows large audiences to to view live video with sub 10-second latency and without the need for an expensive CDN.